The Wilden® P1 - 1/2" / 13 mm Original™ Series clamped plastic Air-Operated Double-Diaphragm (AODD) Pump ensures reliability without sacrificing ease of maintenance. With simple installation and easy serviceability, it’s ready for rugged utilitarian applications that require a robust design. Available wetted path materials are Polypropylene or PVDF. 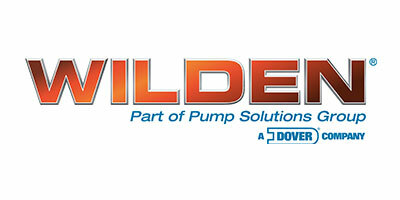 The Wilden® P100 - 1/2" / 13 mm Advanced™ Series bolted plastic Air-Operated Double-Diaphragm (AODD) Pump ensures maximum performance and efficiency. Its bolted configuration ensures total product containment while the redesigned liquid path reduces internal friction to maximize output and efficiency. Available wetted path materials are polypropylene or PVDF. The Wilden® P1500 – 3" / 76 mm Advanced™ Series bolted plastic Air-Operated Double-Diaphragm (AODD) Pump ensures maximum performance and efficiency. Its bolted configuration ensures total product containment while the redesigned liquid path reduces internal friction to maximize output and efficiency. Available wetted path materials are polypropylene or PVDF. The Wilden® P2 - 1" / 25 mm Original™ Series clamped plastic Air-Operated Double-Diaphragm (AODD) Pump ensures reliability without sacrificing ease of maintenance. With simple installation and easy serviceability, it’s ready for rugged utilitarian applications that require a robust design. Available wetted path materials are polypropylene or PVDF. The Wilden® P200 - 1" / 25 mm Advanced™ Series bolted plastic Air-Operated Double-Diaphragm (AODD) Pump ensures maximum performance and efficiency. Its bolted configuration ensures total product containment while the redesigned liquid path reduces internal friction to maximize output and efficiency. Available wetted path materials are Polypropylene, PVDF or PFA. The Wilden® P25 - ¼" / 6 mm Advanced™ Series bolted plastic Air-Operated Double-Diaphragm (AODD) Pump ensures maximum performance and efficiency. Its bolted configuration ensures total product containment while the redesigned liquid path reduces internal friction to maximize output and efficiency. Available wetted path materials are polypropylene or PVDF. The Wilden® P4 – 1 1/2" / 38 mm Original™ Series clamped plastic Air-Operated Double-Diaphragm (AODD) Pump ensures reliability without sacrificing ease of maintenance. With simple installation and easy serviceability, it’s ready for rugged utilitarian applications that require a robust design. Available wetted path materials are polypropylene or PVDF. The Wilden® P8 – 2" / 51 mm Original™ Series clamped plastic Air-Operated Double-Diaphragm (AODD) Pump ensures reliability without sacrificing ease of maintenance. With simple installation and easy serviceability, it’s ready for rugged utilitarian applications that require a robust design. The wetted path material is polypropylene. The Wilden® P800 – 2" / 51 mm Advanced™ Series bolted plastic Air-Operated Double-Diaphragm (AODD) Pump ensures maximum performance and efficiency. Its bolted configuration ensures total product containment while the redesigned liquid path reduces internal friction to maximize output and efficiency. Available wetted path materials are polypropylene or PVDF. As part of the Wilden® Pro-Flo® Series of AODD pumps, this pump is designed for basic general industrial applications with good flow, reliability and air consumption. It utilizes a clamped-band design for easy assembly and disassembly.